STEVE Dickson (pictured left) will take a Sunshine Coast group's petition, which is effectively calling for a ban on mosques, to State Parliament. Sunshine Coast Safe Communities launched the petition last year calling on the State Government to support changes to the Sustainable Planning Act to the definition of "place of worship". They have asked for the definition to "exclude any applicant who advocates, teaches or practices an ideology philosophy or political system which contradicts the tenets of Australian Law" . Further they ask that the change would "defend Queensland communities and eliminate the threat of terrorism and the threat from political Islam". 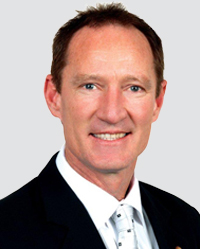 The Member for Buderim, Mr Dickson said he had met with members of Safe Communities and had agreed to present their petition "as I have with countless other petitions before this". Sunshine Coast Safe Communities has also prepared a petition to take to the Sunshine Coast Council, requesting it to adopt the "precautionary principle" and refuse the application for a mosque in Church St, Maroochydore. This petition has not been presented yet. 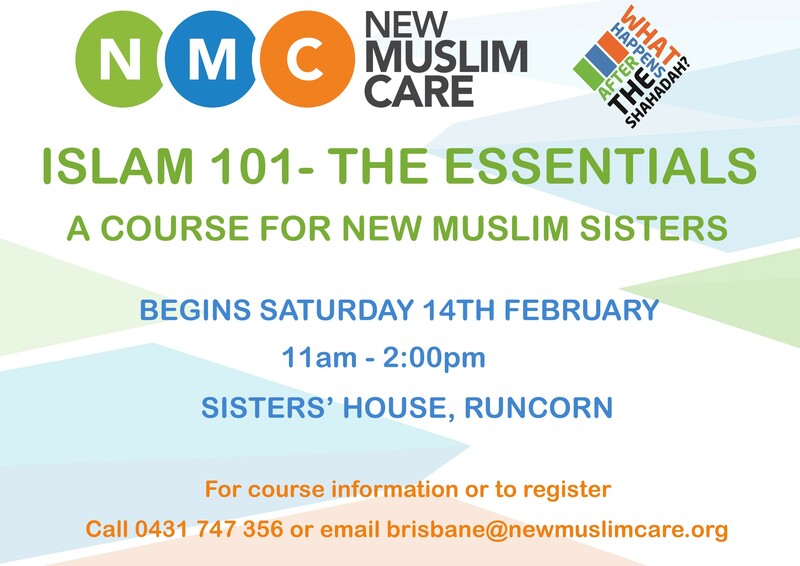 Sunshine Coast Safe Communities is hosting a forum in Kawana tomorrow to "provide understanding on the politics of Islam". The only MP who indicated support for the forum was Mr Dickson. He said he believed there was a need for the forum "to boost awareness of key topical issues within today's modern society". 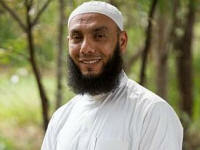 The Sunshine Coast Daily is conducting a readers' poll, asking the question: Should mosques be banned in Australia? 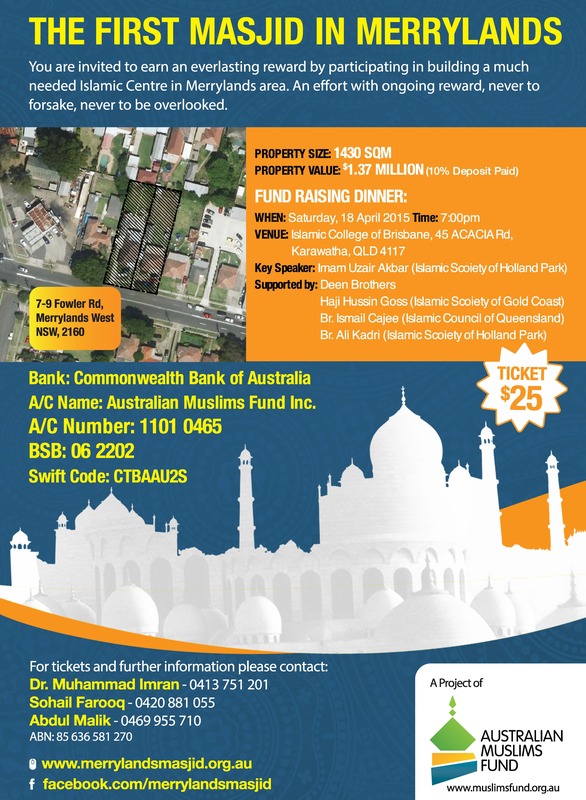 The Australian Muslims Fund Inc. has embarked on a project to establish the first Islamic Centre in Merrylands (NSW), an initiative of Australian Muslims Fund Inc.
More than 5000 Muslims living in Merrylands as well as surrounding suburbs including Guildford West, Hilltop, South Wentworthville and Greystanes are without a Mosque or Islamic Centre to perform their five times prayers in congregation. The closest masjid is in Guildford which is just enough to cater the needs of local community of Guildford and overflows at juma prayers. After a long search, a suitable place was found in the centre of above mentioned areas (7-9 Fowler Road, Merrylands West, total area 1430sqm). 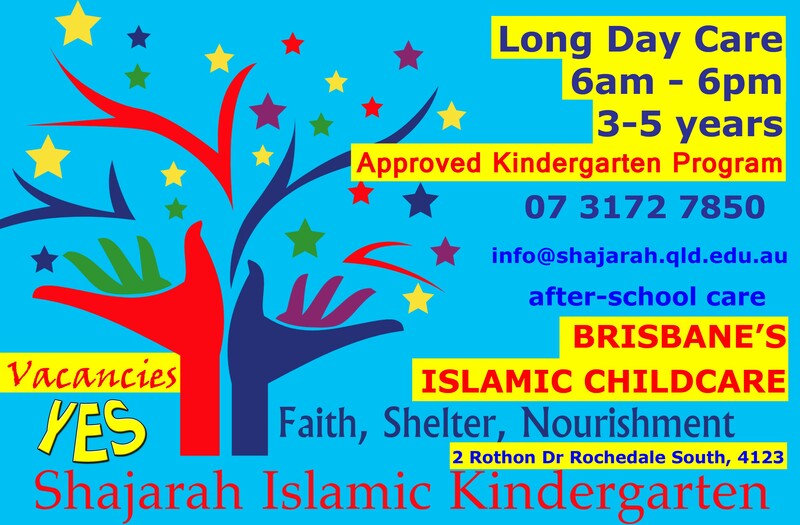 Based on local council guidelines for establishing a place of public worship and after preliminary discussions with the local council, this place promises to be an ideal place for an Islamic Centre in Merrylands, all daily prayers, madressah and youth activities. A 10% deposit (AUS $132,000) has been paid to secure the property. The remaining amount plus stamp duty ($1,238,000) has to be settled by 30 June 2015. Total estimate including the basic mandatory renovations is around $1.6M. 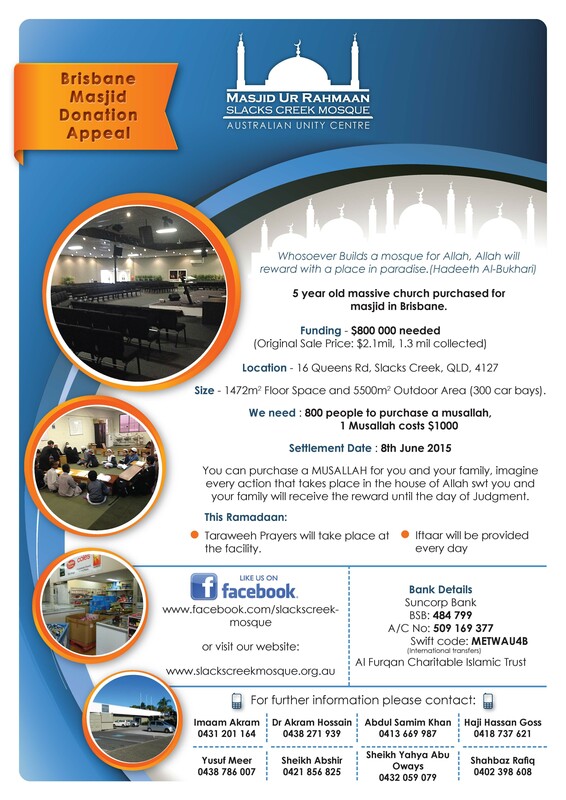 So far around $500,000 has been raised so far from Jumma collections within the team and close contacts. The deficit is around $1M. The organizers have started their campaign in NSW and are working on different avenues to achieve this target in time. A fund raising dinner will be held in Brisbane on 18 April at the Islamic College of Brisbane (Karawatha). 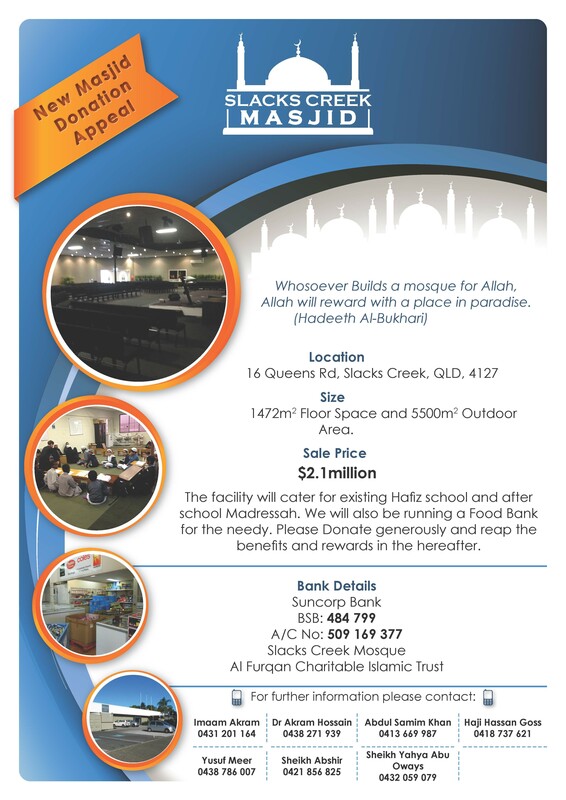 Click on the thumbnail image above for details of the Brisbane fund raiser and where and how to donate. The Point Magazine is a community-based and youth-focused digital publication that aims to attract globally aware and politically active younger readers in multicultural Australia. The goal is to engage and inform readers across a range of news and current affairs topics, including local and international politics, religion, society and culture, and technology. In particular, the magazine is keen to explore the impact of international events on local communities. The online magazine is produced monthly by the Community Relations Commission of NSW and is funded by the Federal Government. The content is produced by the CRC�s Social Media Unit, which is based in Sydney and reports to the chief executive officer of the CRC. The team of writers includes interns who work under the Volunteer Internship Program. To find out more about the program, contact the Editor. This SBS documentary explores the historic relationship between the desert and Afghani immigrants in Aboriginal Australia. Newly appointed Minister for Communities and Women and Minster for Multicultural Affairs, Shannon Fentiman, meets with local Brisbane women. Assoc Prof Mohamad Abdalla was invited to present his views on the topic of the radicalization of Muslim youth to Government officials. He told his audience that he was speaking to them as "a Muslim who loves his faith and community, an academic who is very familiar with the literature, a leader who knows his community very well, and an Australian who loves this country and its people, and who, since 9/11 has been engaged extensively in building bridges of understanding." I spoke with passion about these issues because they affected him as a human being "who happens to be an Australian Muslim." "To be fair to my community, and having their best interest at heart, I have consulted with them and sought their views during the process of writing this presentation. Therefore, the views that I will express not only reflect my own beliefs and sentiments, but of the community members and leaders that I have consulted." He put forward a number of proposals and concluded his speech by saying that violent extremism is caused by a host of factors, which need to be considered collectively in order to arrive at appropriate solutions. "Islam and the Muslim community must not be seen as the problem but an important part of the solution. The community is an important key in the fight against violent extremism and that is why it is crucial to apply a strength based approach to enhancing community resilience, capacity and contribution." FRIDA Deguise has vowed never to design for Miss Universe Australia again claiming she was mistreated by organisers because she is Muslim. The 37-year-old designed a Steve Irwin-inspired costume which was short-listed in last year�s pageant but did not win. Instead Caitlin Holstock took out the title with her indigenous inspired sunset design. �I won�t design for Miss Universe again because I believe they�re racist,� Deguise told Confidential. �They didn�t want me in there. Deguise has also made claims that Channel 7 intentionally cut her out of their promotional ads when exclusively revealing the four short-listed designers on its Sunrise program last year. A Seven spokesperson denied these claims, saying they were fans of Frida and her design work and that she was more than welcome back on their program any time. �Frida and the other 3 finalists and their gowns made for a good segment, based around the competition for a final, winning design,� a Seven spokesperson said. �We enjoyed her time on the show and she was invited to appear a second time, because her first interview was so successful. Deguise, who has been designing gowns for the beauty competition for six years based in the south-western Sydney suburb of Liverpool, said she would never enter a Miss Universe Australia pageant again. Miss Universe Australia�s national director Deborah Miller said Deguise�s allegations were incorrect and that she was �saddened� by her claims. �We have Muslim, Ethiopian, Sudanese and refugees in the competition this year so it�s very sad someone would say something like this,� she said. 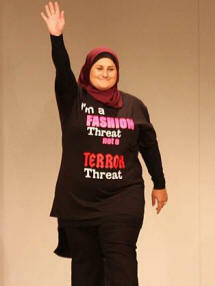 Deguise famously wore a T-shirt last month saying �I�m a fashion threat not a terror threat� at her ROXCII fashion show because, she says, enough is enough. �There�s two reasons why Muslims would never enter Miss Universe: Number one, I have been dressing the contestants for many years and no Muslim has ever entered and number two, even if she went into the contest and she didn�t wear a headscarf then no one would know she was Muslim. Deguise believes the ISIS situation in the Middle East may have been the reason why she was edited out of promotional clips. �Muslims tend to stay in their areas. I know of Muslims that have never gone to Bondi because they�re scared,� she said. Melbourne exhibition tells little-known story of how Muslims in Albania protected their Jewish countrymen from the Holocaust. Hundreds of Jews were saved by Albanian Muslims in WW2. There�s a little-known story about Muslims and Jews in World War II that helped to create a code of honour that still exists today. A new exhibition launching at Melbourne�s Jewish Holocaust Centre will paint a picture of how Muslims saved the lives of many Jewish people in Albania during World War II. 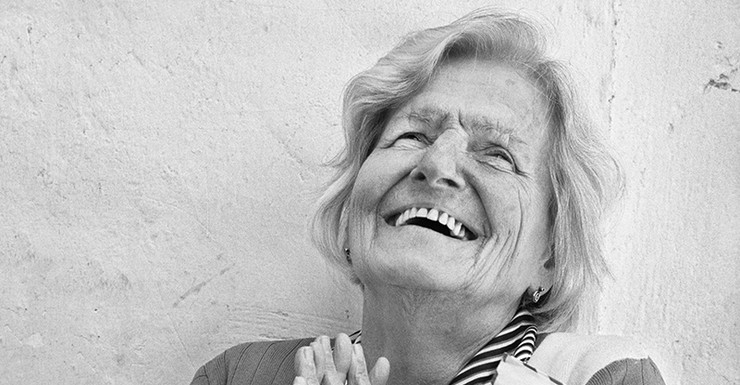 The exhibition showcases photographs from American photographer Norman Gershman, who spent four years photographing the heroes and survivors of the Holocaust in Albania. The exhibition is in part an attempt to combat the rising Islamophobia in the Western world, as well are recent incidences of anti-Semitism � such as the recent attack on a Jewish kosher supermarket in Paris just days after the Charlie Hebdo massacre. �The exhibition aims to show the common humanity we all share and to counter the paranoia of Islam,� Mr Gershman says. While other occupied European countries folded under the Nazi Party�s power and had their Jewish population systematically sent to concentration camps, Albania resisted Adolf Hitler�s orders and refused to hand over their Jewish citizens. This move came from the ethical code in Albania, called �Besa�, that still survives today. Besa, meaning �to keep the promise� comes from the notion that you can trust someone to protect your life and keep a secret. It spurred the mainly Muslim population of Albania to protect their persecuted countrymen and women as well as Jewish refugees that arrived in Albania. The Albanian government provided many Jewish families with false papers so they would not have to live in hiding and opened their borders to Jewish refugees. Not a single Jew was taken from Albania to a concentration camp. Ali Sheqer, whose father rescued Jews, says that the Albanians risked their own lives to save and shelter Jews from Hitler�s regime. �Why did my father save a stranger at the risk of his life and the entire village? My father was a devout Muslim. He believed to save one life is to enter paradise,� Mr Sheqer says. Albania, the small country nestled between Greece and Macedonia, was the only European country that experienced a growth in its Jewish population during World War II, with up to 1800 Jews moving to Albania during the period. People gather during a rally to protest against negative coverage of Islam and the French satirical weekly Charlie Hebdo, in Sydney on 23 January. 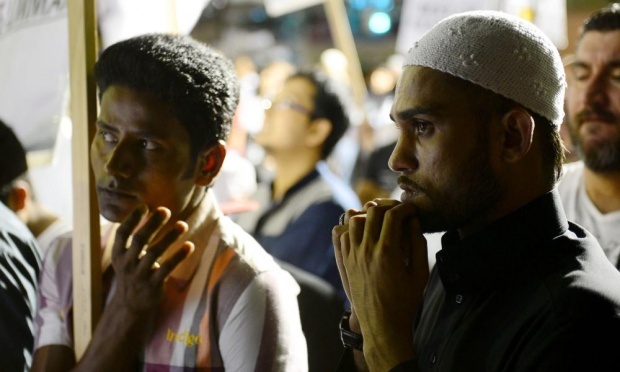 The researchers, including University of Queensland criminologist Adrian Cherney, said the findings showed that police, especially those in Sydney, needed to do more to build trust and a willingness to cooperate among Muslim communities. The study involved focus groups and surveys of Muslim Australians from a range of backgrounds, including Pakistanis, Syrians, Indonesians and South Africans. The participants were evenly split by gender and ranged in age. Close to 75% believed that counter-terrorism laws � of which 64 separate pieces have been passed since the September 11 attacks � were unfairly aimed at Muslims. Though few had ever come into contact with these measures, the sense of being �under siege� was felt by a majority. Nearly half said they consciously changed the way they dressed to avoid scrutiny. Almost as many said they avoided certain mosques and a significant number said their travel, too, was altered. 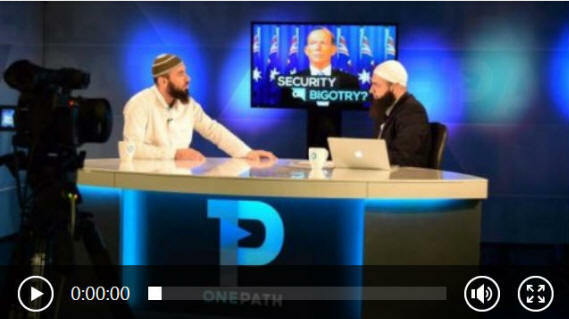 Members of the Muslim community in Australia have set up the not-for-profit television studio 'One Path Network' to "counter the mainstream media�s portrayal of Islam." 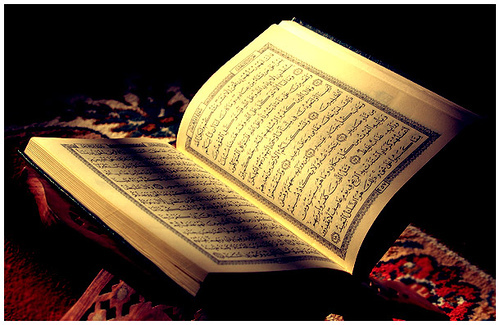 Costing �722,000 ($AU1 million), the studio aims to spread the word of Islam among Muslims and non-Muslims. It is reportedly funded by community donations, and is staffed by a team of over 20 volunteers. Based in western Sydney, the One Path Network films and edits videos for its YouTube channel. Organisers say it was set up to provide �authentic Islamic knowledge using a professional contemporary approach�. Head of the network, Malaz Majanni, told ABC News: "This is a time where there is a lot of pressure on the Muslim community. Unfortunately, you do find that with the mainstream media, sometimes we are misrepresented." Here we are able to make sure that a clear message is sent out. "The network provides its own take on topics and events such as the immolation by Isis of Jordanian pilot Muadh al-Kasasbeh, Hollywood film American Sniper, Australian prime minister Tony Abbott, and the Sydney siege." 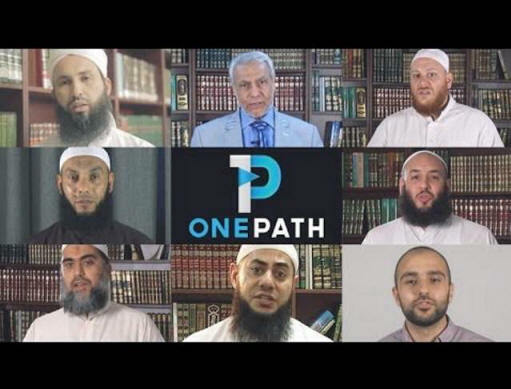 Videos have featured prominent Sydney Imam Sheikh Omar El Banna, and members of controversial political group Hizb ut-Tahrir - an international pan-Islamic political organisation which seeks to unify all Muslim countries under a caliphate ruled by sharia law. The station's website reads: "The media is an essential part of everyday life and a very powerful tool influencing values and ideas. The world is constantly changing and we are connected more than ever. 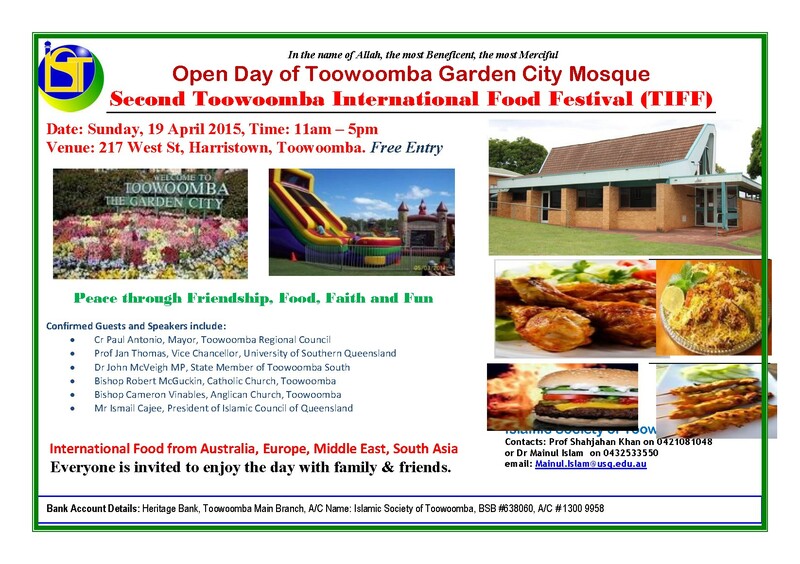 There are great opportunities in using media to showcase the religion of Islam." "As we embark on this large scale project, we understand that it will be a long and complex journey, but a necessary one. In order to make this project effective and successful we will be utilising specialised skill sets from within the community and abroad." 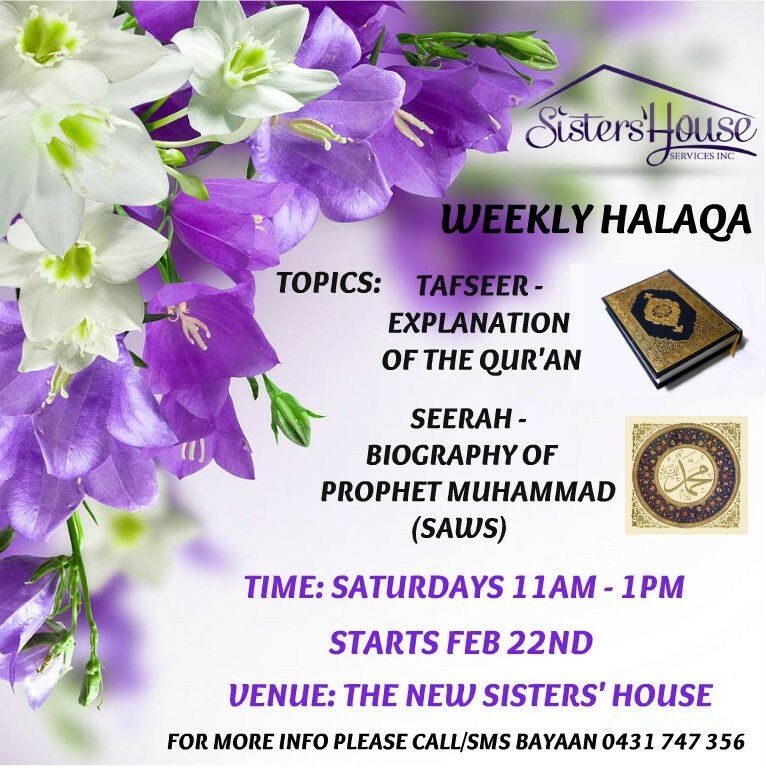 Salams everyone, hope you have all been keeping well since our last update in-shaa-Allah. 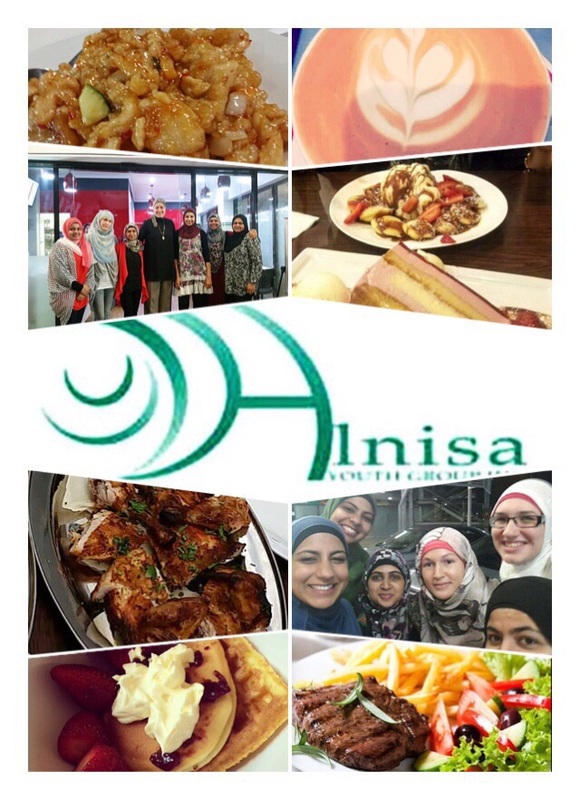 So, after a small summer hiatus, the team at Alnisa is back to business as usual Ulhumdulillah. We have been keeping busy with a number of side projects which we will be able to reveal more about later in-shaa-Allah. 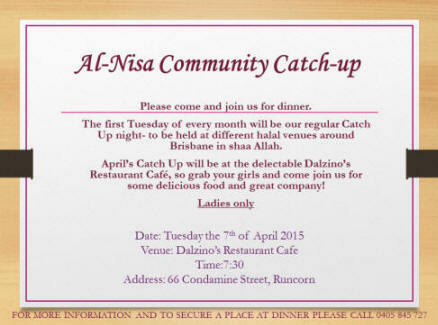 Our most exciting news at the moment is our Community Catch Up nights. 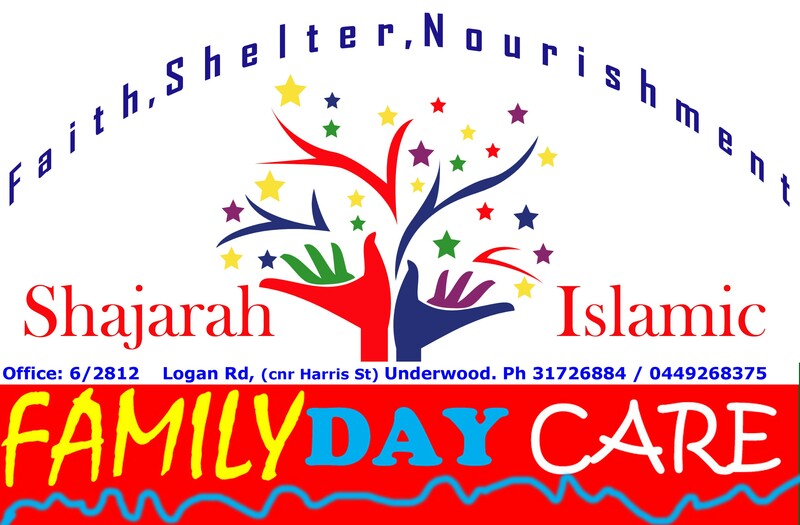 We thought it would be nice to invite the ladies of our community to dinner every first Tuesday of the month in-shaa-Allah at different halal venues around Brisbane. It's a good opportunity to get together for some down time and also support some of our local businesses in the community simultaneously. 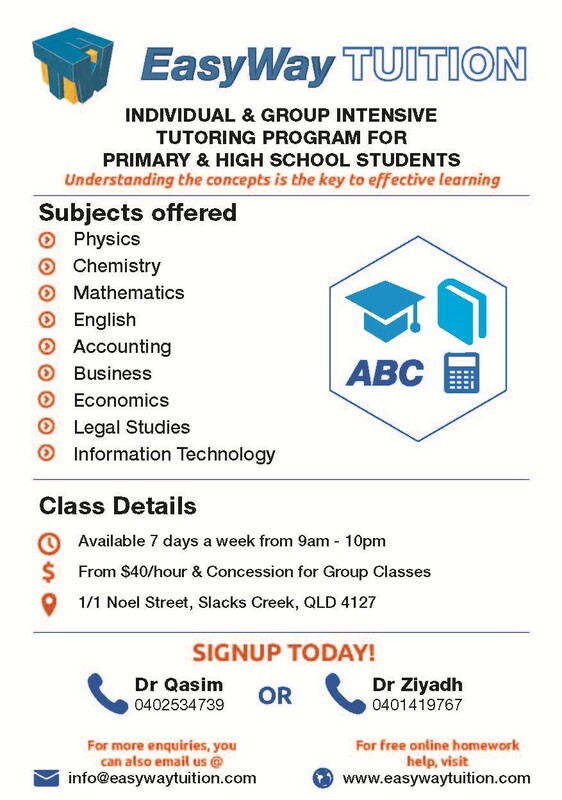 If you would like to join us - we post a flyer up on our Facebook page - Alnisa Group for the upcoming month or similarly you can give us a call on 0405 845 727. 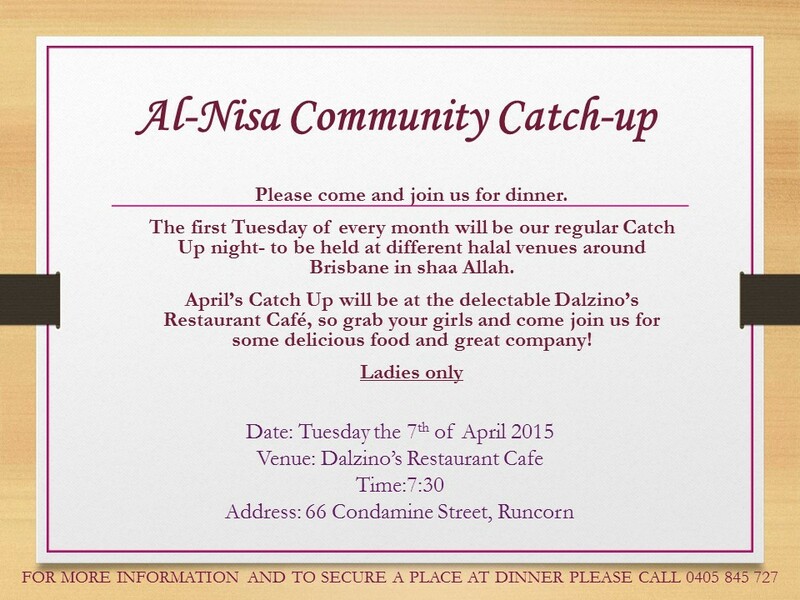 So grab your girls and come along for some good food and great company. 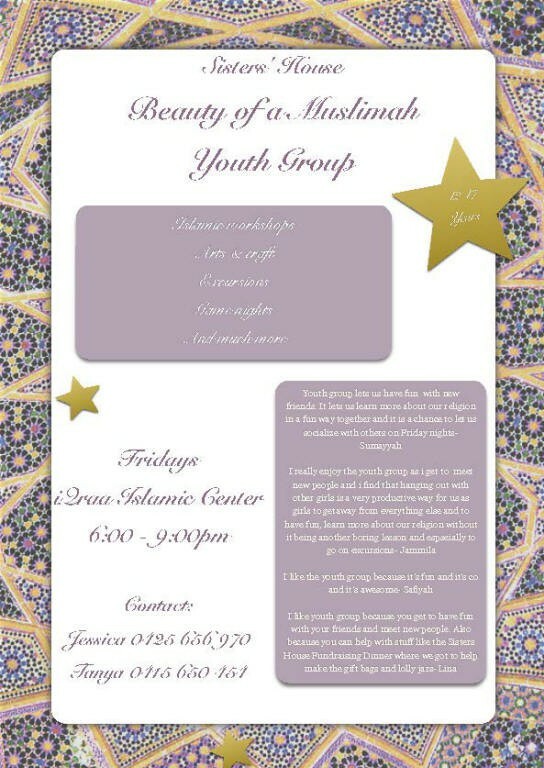 The next one is being held at Dalzino's on Compton Road - April 7th at 7:30pm in-shaa-Allah. We are also trying to organise our Annual Ladies Night (so you can dress up and let your hair down), so watch this space for more details. 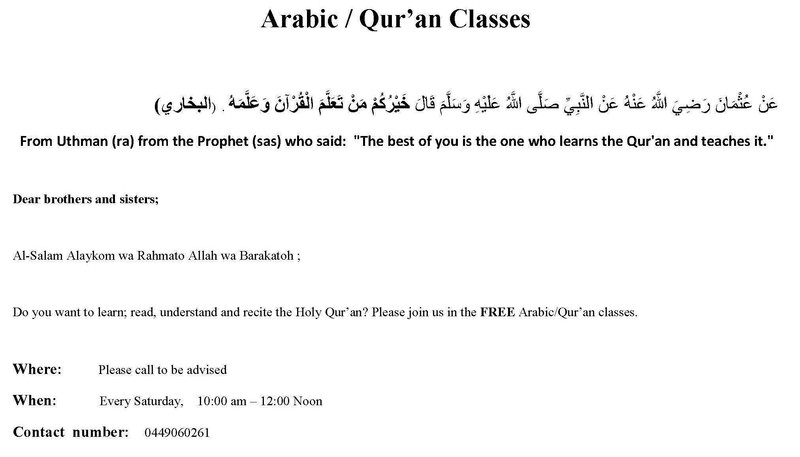 For further information and details contact the College on 3372 1400. 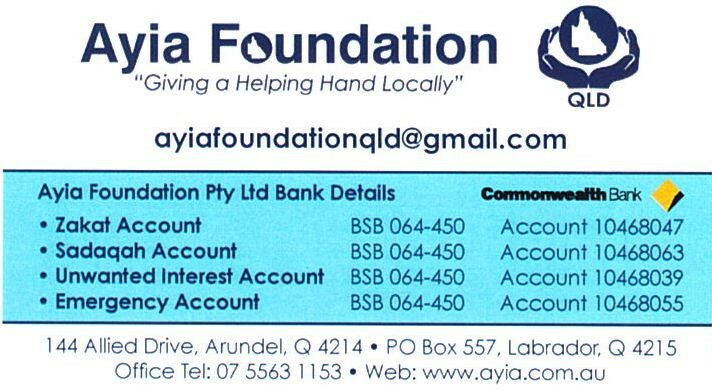 My son and his family are in need of a 3 bedroom house. He has recently found out he will not be able to work due to a severe back injury. His wife will seek full time employment. They are currently living with relatives, but need their own home A.S.A.P. They can not afford any more than $300 a week. 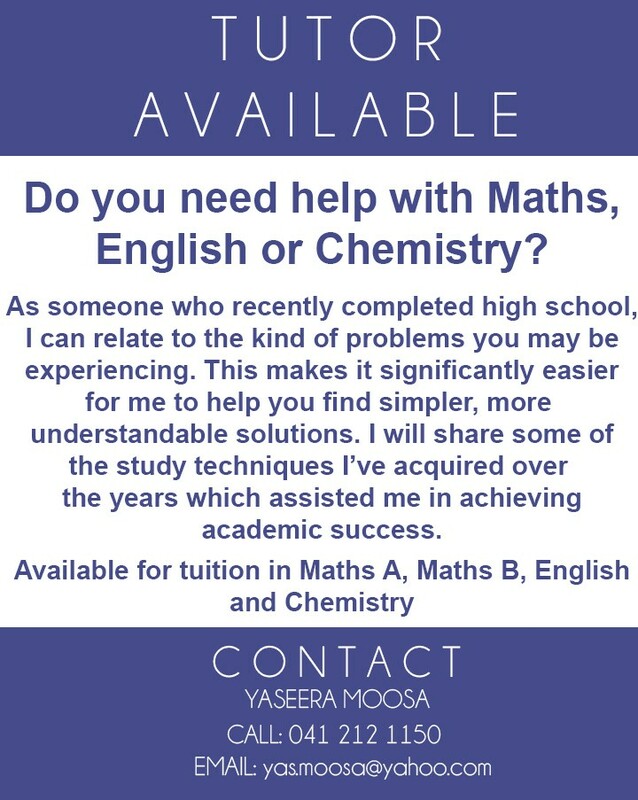 Are there any readers who can help them out with a house, and/or employment for a hard working, intelligent young lady. 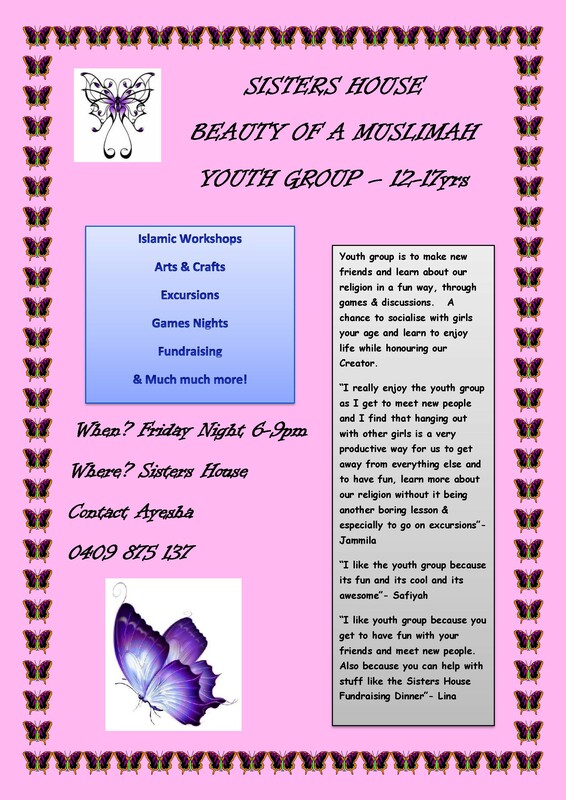 Please call 0402917109 if you can help these young people get on their feet. Thank you. I write in reference to last week's CCN article regarding an award I received for helping during the floods. I am truly humbled by the anonymous person/s that nominated me to receive such an award. 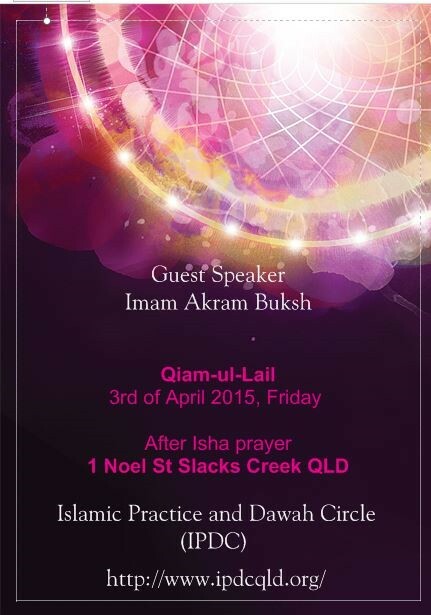 I wish to say that this award is not an individual award, but one that I dedicate to the Muslims of Queensland. There was a strong group of tireless volunteers and workers who, without their efforts, we would not have raised the 50K or done the 900 hampers for flood victims. To this day, they continue to work hard without seeking adulation for the betterment of our community. The events of 2011 have been popularly documented and I'm sure we all remember them vividly. It was no surprise to know that all those who helped out went above and beyond fund raising and the hampers to do so much more. The tiniest of ideas such as sandwich making to the arduous work of physical clean ups. 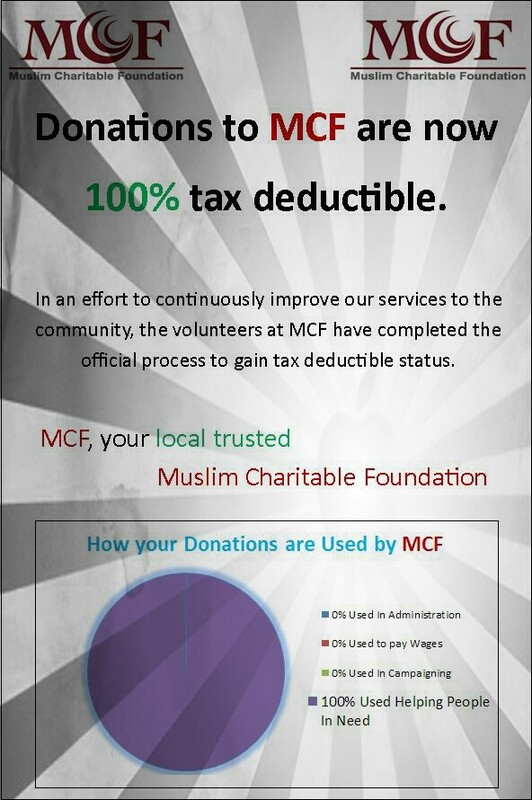 The efforts of our Muslim community were heart-warming and blessed. I accept my award and know that it reminds me of a greater blessing, to be a part of this wonderful community. May Allah reward you all abundantly for your efforts and may he keep taking work from us for the betterment of Community and Country. Aameen. 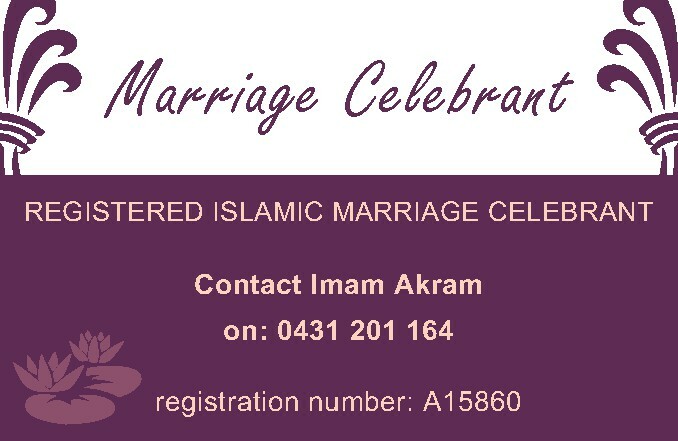 SAUDI ARABIA: I�m honoured to invite you to my divorce party.� This is the type of invitation now being sent out by increasing numbers of women wanting to celebrate the end of their marriages. Habib, however, said that parents should take their children�s feelings into consideration. �If these parties negatively influence the children socially and psychologically, then they should be canceled,� he said. 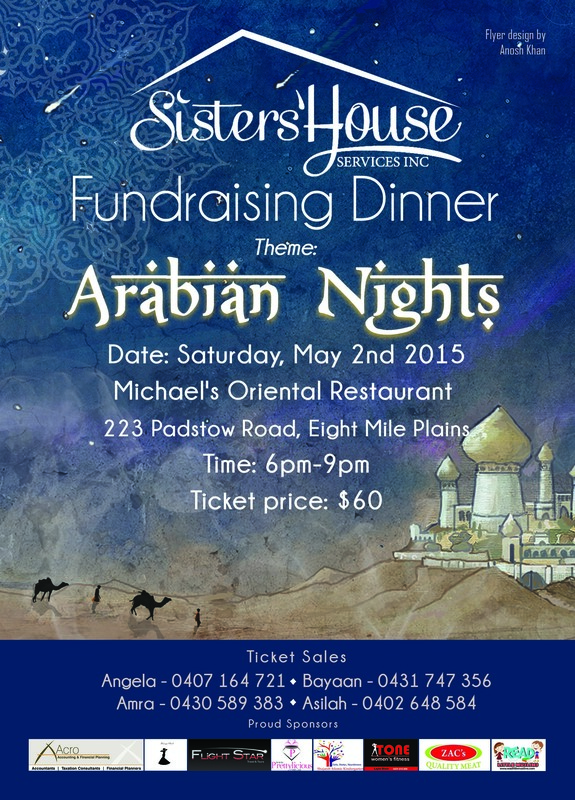 �Women living under injustice, humiliation and misery are the ones who will celebrate. It is not unreasonable that an absolutely happy person celebrates her divorce under these circumstances,� Al-Abideen said. �Although separations affect children, they would be happy to see their mothers happy, especially if their fathers had abused their mothers,� she said. Al-Saidi urged the media to raise concerns about these parties, and to encourage people not to attend them. �This will cause future tragedies,� he said. Sahar Rajjab, a certified physiologist and family counsellor at the Arab Council, said Saudi nationals should not imitate the West by having these parties, even if they are extremely angry. 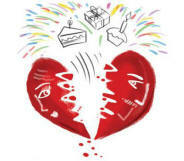 �The divorce parties are increasing in an alarming rate,� she said. SWEDEN: A ring crafted more than 1,000 years ago confirms highlights the contact between the Vikings and the Islamic world. 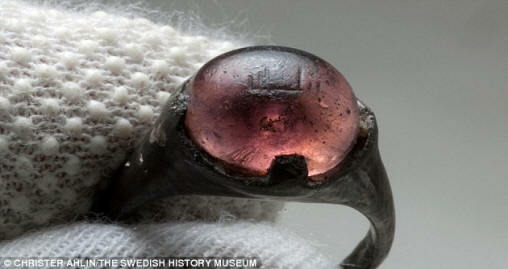 Discovered inside a ninth century woman�s grave in Sweden, the stone inset into the ring bears an inscription that says �for Allah� or �to Allah�. While it is already known that the Vikings acquired glass in far flung lands, the artefact bolsters the theory that the seafaring civilisation did business with Islamic traders. The ring was discovered during excavations of a Viking trading centre in Birka, Sweden, in the late 1800s, Science News reported. Since then, it has been thought that stone in the ring is violet amethyst, but now experts have revealed it is coloured glass � an exotic material at the time. 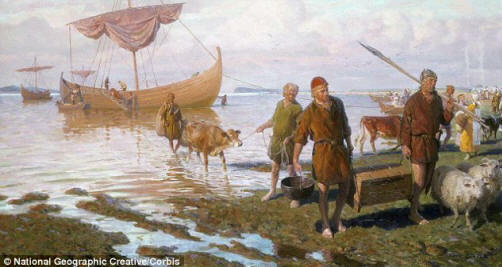 It is known that Scandinavians traded glass objects from Egypt and Mesopotamia up to 3,400 years ago, so it is entirely possible that the Vikings fetched glass goods from the region instead of waiting for them to make their way north via trade networks. Ancient texts also mention trades taking place between the Vikings and members of the Islamic civilisation, which stretched from the Mediterranean to West Asia, but archaeological evidence is rare. The study, published in the journal Scanning, says: �The ring may� constitute material evidence for direct interactions between Viking Age Scandinavia and the Islamic world. Further analysis of the ring showed that it was rarely worn. The inner ring still shows signs of where the silver was filed by a craftsman, meaning that it was probably sold as new before it became a treasured possession of a Viking woman. �The ring has been cast in a high-grade silver alloy (94.5/5.5 Ag/Cu) and retains the post-casting marks from the filing done to remove flash and mould lines,� according to the study. STRASBOURG � A veiled Muslim politician will sue a French airport authorities after being forced to take off her jacket at security checkpoint, in an incident that reflects increasing Islamophobia across Europe. �I have been living in Europe for 31 years,� the Justice and Development (AK) Party�s deputy representative in Brussels, Asiye Bilgin (pictured above), told Anadolu Agency on Thursday, March 12. Though the Muslim woman, Bilgin, said was only wearing a sleeveless shirt, security officers forced her to remove her jacket at the airport. When Bilgin refused to remove her jacket, a security officer yelled at her to do so. �What you are doing is against religious freedom and human rights,� she said she told the security officer. She also asked for a private room to take off her jacket, instead of removing it in public. �This is Strasbourg and there is no cabin here, you have to take off your jacket,� Bilgin said another officer yelled. Commenting on the incident, the head of passengers' control post at the Strasbourg airport revealed that the airport includes private cabins, unlike what the Muslim politician was told. The AKP lawmaker lodged a complaint against the discriminatory treatment at the airport as well as giving false information to passengers. �All Muslim women, especially the ones wearing hijab, can face inhumane treatment despite the universal values,� Bilgin said. �European Muslims are treated as second-class citizens in Europe. The treatment that blacks face in the US is experienced by Muslims in Europe,� she added. 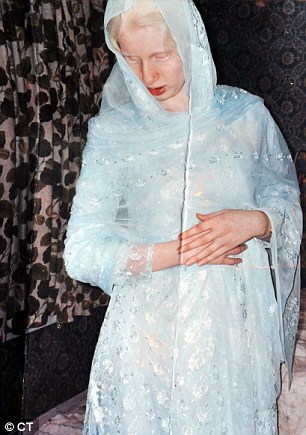 UK: A family of albino Muslims are being terrorised by bigots because their daughter married a man from another religion. The so-called 'honour' retribution has included smashed windows at their Coventry home, vandalised cars and death threats. 'We're a good family and have done nothing wrong yet we're being punished in the name of honour,' he said. Aslam Parvez, 53, blames members of the Muslim community who believe the family have been dishonoured by his daughter's marriage. Mr Parvez called the police last week and officers are investigating the issue. 'We want it to stop now,' Mr Parvez said in a direct appeal to the culprits. 'We've had enough of all these bad things. We're not a bad family and have done nothing wrong. 'We're being punished for our daughter's decision. We just want to live our lives in peace. 'I'm a good religious man. Look at your own lives before you judge us. Mr Parvez was born in Pakistan and moved to Coventry at the age of 10 to join his family. 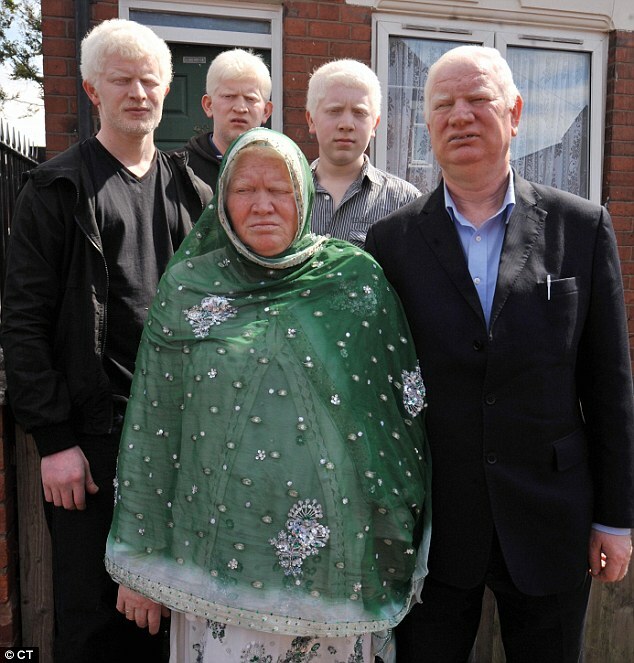 He later met and married his Shameem, who is also an albino. Their six children inherited their parents' condition, which causes an absence of pigmentation and partial sightedness. Mr Parvez says their condition has meant they have been subjected to ridicule, but recent events have made their lives unbearable. 'I've always had it bad,' Mr Parvez said. 'I was called names when I went to school and then when I went to work. 'You get funny looks in the street but you get used to it. She said: 'This family is already vulnerable because of their condition and have clearly been affected by honour violence against them. The Three Faith�s Forum�s (3FF) innovative Urban Dialogues programme uses the arts to illuminate complex issues and generates understanding and meeting across difference. The programme has for six years been commissioning new and exciting art from a wide range of artists of all faiths, including Muslims. Urban Dialogues actively supports collaborations between artists from different faith traditions, and it promotes their work to a wide audience. Some of the most successful commissions which Urban Dialogues has supported have been between Muslim and Jewish artists. 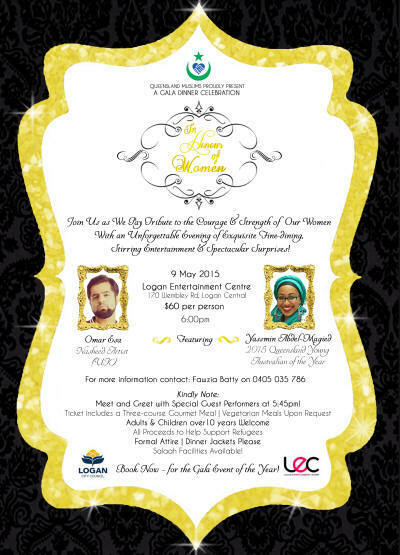 Muslim women make up over 30% of audiences and artists engaged in programme�s �Female Voices� initiative. Such forums have created safe-spaces for Muslims and people of other faiths and none to share their different points of views. Q: Dear Kareema, just wondering if you have any tips on exercise while travelling with the kids during the upcoming school holidays? A: I always try to book at a place which has outdoor activities like cycling, tennis, canoeing facilities, etc. available so I know the kids will be kept busy. If that�s not possible, be sure to pack a skipping rope (for the quickest way to get your heart rate up). Plan daily walks and head to the park where you can challenge yourself with push-ups, dips, walking lunges and use whatever equipment available for accidental exercise. Running around on the beach is a great cardio session and will tone and strengthen your legs, all while the kids are oblivious to the exercise factor involved� N-JOY! 1. Combine ingredients and whisk for a few minutes. 3. 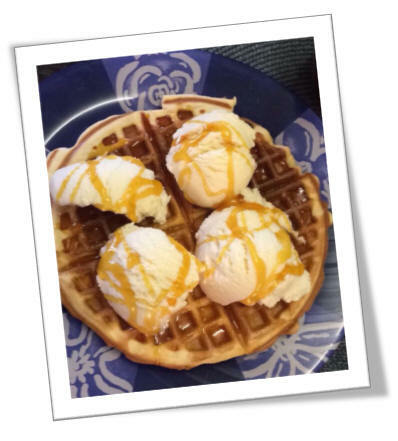 Serve with ice-cream and golden syrup or topping of your choice. When Mula Nasruddin was studying law at the University of Uzbekistan, his professor, whose last name was Abramovic, disliked him intensely. One day, Prof Abramovic was having lunch at the dining room when Mula Nasruddin came along with his tray and sat next to the professor. The professor said, "Mr Mula Nasruddin, you do not understand, a pig and a bird do not sit together to eat." Mula Nasruddin looked at him as a parent would a rude child and calmly replied, "You do not worry professor, I'll fly away" and he went and sat at another table. Prof Abramovic, reddened with rage, decided to take revenge. The next day in class he posed the following question: "Mr Nasruddin, if you were walking down the street and found a package, and within was a bag of wisdom and another bag with money, which one would you take?" Without hesitating, Mula Nasruddin responded "The one with the money, of course." Prof Abramovic, smiling sarcastically, said "I, in your place, would have taken the wisdom"
Mula Nasruddin shrugged and responded "Each one takes what he doesn't have." Prof Abramovic, by this time was mad as hell with Mula Nasruddin. So great was his anger that he wrote on Mula Nasruddin�s exam sheet the word "idiot" and gave it to him. Mula Nasruddin took the exam sheet and sat down at his desk trying very hard to remain calm while he contemplated his next move. A few minutes later, Mula Nasruddin got up, went to the professor and told him in a dignified polite tone, "Prof Abramovic, you signed the sheet, but you did not give me the grade." "The Greatest Four - Chronicles of Abu Bakr, Umar, Uthman & Ali (RA)"